We’ve called these poker playing cards, but obviously they could be used for any card game. 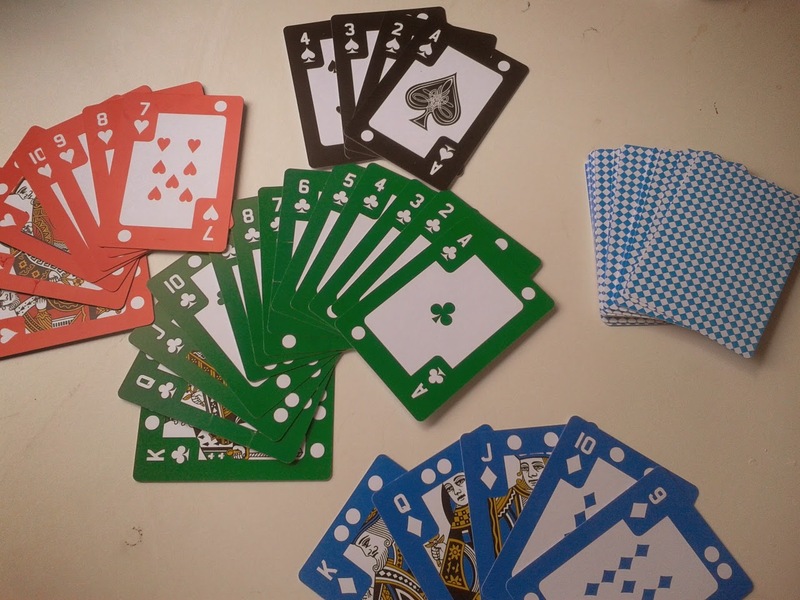 One of the exciting ideas we came up with, was playing a game with an absent player – no longer does your regular poker night need to be disrupted because one or more players can’t make it! Using these special playing cards, and a card-reading table, you can deal your friends in, and have them play over the ‘net. Can’t wait to get making at BuildBrighton tonight, to see if we can actually read the cards using a few LDRs and a PIC microcontroller….